Spring is finally upon us. IT has many opportunities for blooming. Below are some examples. Where are we on the reorganization process? The search committee is in the process of reviewing applications for four deputy CIO positions. Interviews will be scheduled in late April. Search committee members include Stacy Kovar, Brian Niehoff, and Fran Willbrant with Karen Pederson as an additional member serving on the Emerging Technology and Innovation position. IT continues with Duo, two factor authentication, deployment. About 2,025 K-State employees have enrolled. The plan for data center migration is moving forward. It has been approved by the State of Kansas and at the executive level at K-State. During Spring Break, Networking and Telecommunications Services (NTS) updated the wireless in Eisenhower from 2.4GHz to 5 GHZ and added more access points to improve coverage.On the second floor, the team installed 13 access points (up from three). NTS also removed the old access points from the other floors and installed the new 5GHz access points. The Constituent Relationship Management (CRM) project team has been formed. The RFP due date was April 5 and the bid review team will be working over the next week to identify a list of recommended vendors to invite for on campus demos. Listening sessions continue through April 30th. You can find more details at http://blogs.ksu.edu/crm . March has arrived like a lion with cold temperatures and IT staff cranking on projects. Enterprise Server Technologies recently completed the move of Chef, their internal server orchestration tool to Amazon AWS. Through this process EST was able to retire 12 servers and replace them with three servers in the cloud. This is part of the rebuild phase post Hale fire. During Spring Break, Networking and Telecommunications Services (NTS) is removing the wireless access points in Eisenhower, which were 2.4GHZ. This is in conjunction with the asbestos abatement project and in preparation for upgrades to Eisenhower occurring in the summer. NTS plans to update the access points to 5 GHz. Those accessing Eisenhower wireless should notice the difference. A task force has been formed for the Constituent Relationship Management (CRM) project. The RFP is out with a due date of April 5. Listening sessions are planned for March 20 through April 30. Welcome to 2019! IT is now moving into the rebuilding phase as we use the IT Strategic Plan and OneIT to guide our way forward. Planning for a modernized data center is underway, the team of Chad Currier, Rob Caffey, Greg Dressman and Loren Wilson are leading the charge. During spring semester, Duo, two-factor authentication will be rolled out in phases. Approximately every two weeks, IT will be communicating and working with about 200 faculty and staff on installing and using Duo until all employees have two-factor authentication installed. The schedule is being shared with System Administrators to keep them informed of the rollout in their areas. The ERP Task Force is drafting their final report with a release planned for campus in late January. The cloud first strategy continues to be fleshed out with input from the IT staff, vendors and the distributed IT community. IT Security Training was completed by 52% of K-State employees. Training will be sent to student employees in February 2019. IT is offering a diverse set of training (Canvas, KSIS, CMS, Qualtrics, MS Word, Office 365, etc). for campus constituents. If you would like specific topic for your unit, please request the topic using this form https://www.k-state.edu/its/training/request-training.html . 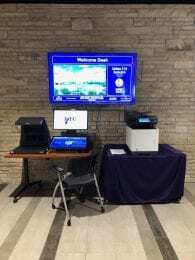 Service Evaluations – IT and K-State Libraries continue to improve service locations to accommodate students’ study needs. The week prior to and the week of finals, the Union saw an 11% increase in the use of space. Where did the year go? The following are December updates as IT closes out a busy, invigorating, historic 2018. There are 302 K-Staters using DUO, two-factor authentication, with a plan for incrementally phasing in staff and faculty at a rate of 200 at a time. The move of the DAS (distributed antenna system) is completed. ITS is working with the vendor to bring the DAS to areas on campus that need a cellular boost within the buildings. The ERP Task Force is in the process of drafting their final report with a release planned for campus in January. The cloud first strategy is being fleshed out with input from the IT staff, vendors and the distributed IT community. IT Security Training was sent to 6,701 faculty/staff to complete. To date 36% have completed the required training. We are working on an improved process for sharing the training with campus. ITS is in the process of increasing the training offerings we provide to campus. During the fall, we offered sessions on Canvas, the CMS, KSIS, ETDRs, and NVivo Plus 12, Qualtrics, Zoom and more. Additional sessions are planned for spring on similar topics and more including basic Excel and MSWord. The IT Help Desk will be closed from Dec 24 -28 and will reopen Dec 29. Visit http://www.k-state.edu/its/helpdesk/hours.html . Service location feedback has been positive in our post Hale fire environment. we were able to add more computers and printers to the Union, install white boards in Dickens, purchase and install eight Samsung Flips, electronic flips and locate throughout campus. The Union purchased a few more white boards for their space as well. We continue to share information about the locations with campus. Spaces for study during finals week has expanded, visit: http://www.lib.k-state.edu/finals-week . As part of our move to align IT services and gain synergies among staff, Bryan Kraus, Director of Financial Systems, and Ray Linville, Applications Developer, from the Division of Financial Services joined ISO on Dec. 3. On the horizon, Networking and Telecommunications is planning for a complete wiring upgrade for Waters Hall, which will provide improved wireless in the building. In the center of Waters where ceilings have been removed for the installation of the sprinkler system, NTS is planning to remove the trays from these areas and move them above the ceilings. The areas that never had ceilings the cabling will remain visible. Do you need to print your syllabi? Limited free printing is available and has been doubled for the fall 2018 semester to $20/person which translates to about 200 black and white pages. Beyond those amounts, the Wildcat Card can be used for pay-for-printing. Unused balances do not carry forward to the next semester. See the Service Locations by Category and Printing on campus web pages for more details. NVivo 12 Plus, the world’s leading qualitative data analytics software, has recently released a new version. A training session on the new features (Windows) will be offered 2-4 p.m., Fri., June 22, in Calvin 306. There will be time for plenty of questions–as needed. The room will be open from 1:30-4:30 p.m.
An RSVP is NOT required. All are welcome. Participants are welcome to bring their own laptops and follow along if they wish. Please note that the Windows and Mac versions of NVivo are somewhat different (although becoming more similar in functional capabilities over time). This latest version features some new analytics tools, including one for qualitative cross-tab analysis. This software has a data exchange integration with IBM’s SPSS. There are new data visualizations features as well. IT Strategic Planning – Focus groups are completed. The Information Technology Survey sent to all K-Staters is open through May 11. As of Monday, May 7, there are approximately 1200 responses with 50% from student respondents. The Plante Moran Consulting firm is assisting with the effort. Encrypted File Transfer – ITS staff along with campus constituents are researching applications for secure file upload and sending documents across campus. Professional development – On May 23 and 24, Information Technology Services hosts the Computing in Higher Education Conference in Kansas (CHECK 2018) at the Olathe Campus. More than 300 attendees will network and learn about best practices from regional institutions and vendors. Security – Chad Currier, Chief Information Security Officer, began April 30. His office is located in the Unger Complex. The number of compromised eIDs for Jan – April was 188 from 176 phishing scam emails (in comparison to 1245 for the same timeframe in 2017, from 394 phishing scams). There were 55 compromised eIDs in April 2018 compared to 617 in April 2017. Ubuntu 18 Upgrade Project – Upgrade to latest long term production release of Ubuntu Server. 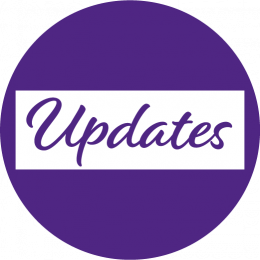 Active Directory 2016 Upgrade Project – Upgrade AD functional level to 2016 and refresh servers. EST Documentation Consolidation Project – Restructure and Consolidate EST Internal Documentation. FIS Infrastructure Improvement Project – Improve system reliability and performance metrics. Legacy Hardware Retirement – Retire legacy hardware in the datacenter and continue migration to the converged infrastructure. Catfiles Storage Expansion – Expand NAS storage supporting Catfiles and file storage. Graduate School application and process forms from paper to online – automating approvals and workflows for internal business process, providing applicants with a dashboard to understand the progress of their application, and adding functionality to improve the user experience and efficiency of processes. Improved reporting tools and user experience for KSRE Kansas Pride, an online tool for helping Kansas Communities maximize community and economic development efforts by encouraging all groups to coordinate. Technology classrooms – Leasure 013 will receive updated AV equipment including touch screen controller, system processors, document camera, wireless microphones, laser projector, and cameras for web conferencing. Nichols 301 will receive a new projection system (input plate, controller and projector) and the orientation of the room will be rotated 90 degrees now facing to the west. CW 143 and 146 will receive a new projection system (input plate, controller and projector). The next round of candidates for the Chief Information Security Officer will be on campus March 14 and March 16. Application materials for each candidate and a link to the candidate feedback form is available on the CISO website. There are two opportunities to meet with each candidate. You can also join the open forums via Zoom. Please join us in interviewing the CISO candidates. Videos will be posted to the CISO website. After a collective 90+ years of service, Beth and Jay Alloway will retire from Information Technology Services on December 31, 2017. A retirement celebration will be held in the Hemisphere Room of Hale Library on December 19 from 9-10:30 a.m., remarks will be at 9:30 a.m.
Beth has been employed at K-State for more than 46 1/2 years. Her position has evolved from key punch operator to overseeing access to administrative systems. She works with every individual who needs access to administrative systems. She monitors and resolves high-level security access requests and has been the go-to person for resolving eID issues. Jay began his career in the Computing Center in 1969. He was appointed to the position by Elizabeth Unger. He earned his B.S. in Electrical Engineering in 1970 and has held numerous positions over the last 48 years from systems analyst to systems programmer to Assistant Director to Acting Associate Director. The Information Technology Assistance Center is currently taking requests for software additions on the computers in the centrally supported technology classrooms, the K-State InfoCommons and the university computing labs (1 Dickens Hall, 001 Seaton Hall and the K-State Union Computing lab). The deadline for software requests is Dec. 1. Software requested must be free to use, or the requesting department must provide the licensing. When a department provides the licensing, iTAC will work with the department to determine the number of licenses needed and monitor compliance. The list of software in the technology classrooms is available from http://www.k-state.edu/its/classrooms/software/index.html . The current list of software in the computer labs is at k-state.edu/its/labs/software.html. If you have any software you would like added or have questions, contact Kevin Shippy, kshippy@k-state.edu, 785-532-3343.